Krazy wrote: Is 10 the one you said was supposed to be super hard? Yes, it is. At least for unexperienced players. But it'll be a challenge for experienced players too. Did you ever played against two Khaydarin enhanced Broods set to insane? Last edited by omega20 on Wed Jul 22, 2009 10:58 am, edited 1 time in total. I've some bad news, guys. Though I think I'd be able to finish my campaign in time for the deadline, I believe I'm not in conditions to finish it how I want to finish it right now. Some personal matters are interfering my work, including my holidays. That, and that I don't have the required resources or time this project deserves. I think I told you some posts back, remember? Though I'm not cancelling the campaign, I'll have to leave the contest and put my project in hold. When I go back home, in August, I'll deal with the improving of the actually released maps and with the finishing of the Terran campaign. Also, I'll be glad if this thread ISN'T closed. I'd like to post the improved maps and the ones that haven't been uploaded here if possible. However, if it does interfere with the contest, I won't have any problem to have it closed and post a new thread in the SC forums. Cheers and have fun! And believe when I say that I wouldn't be doing this if it wasn't really important. I wish good luck to the remaining contestants. omega20 wrote: I've some bad news, guys. Though I think I'd be able to finish my campaign in time for the deadline, I believe I'm not in conditions to finish it how I want to finish it right now. Some personal matters are interfering my work, including my holidays. That, and that I don't have the required resources or time this project deserves. I think I told you some posts back, remember? Though I'm not cancelling the campaign, I'll have to leave the contest and put my project in hold. When I go back home, in August, I'll deal with the improving of the actually released maps and with the finishing of the Terran campaign. You've done a lot of work already, and shown us a great deal of it. Take all the time you need. I too found out that the summer wasn't going to be ideal for me to participate in a contest and so I left. Cut your losses and come back to the project when you have time. Beta key or not, you will get to play SC2. BadManners! wrote: You've done a lot of work already, and shown us a great deal of it. Take all the time you need. I too found out that the summer wasn't going to be ideal for me to participate in a contest and so I left. Cut your losses and come back to the project when you have time. Beta key or not, you will get to play SC2. The 24 maps I finished in one and a half months have got me really tired. However, even when I'll be unable to continue in this contest, I'm glad of the work I've done. 24 maps in which I've dedicated many time for creation (specially the terrain and doodad placement) are fruit of a work I can really be proud of. However, is perhaps this almost non-stop work to get a perfect terrain what made me to be unable to develop better triggers, so it's one of the reasons I'm also leaving the contest. You're right, of course, Legion. Even if I'm not able to get a beta key, I'll be always able to buy SC2 when it's released to play it. There's a way to beat the burn-out, Omega, and it takes only a day to do. Krazy wrote: Damn, that's too bad man. I really had a lot of fun playing these maps so far, especially the last toss mission where you control the big S, in addition to levels I mentioned in other posts. I hope that you do eventually finish the Terran missions! Actually, I'll finish the Terran campaign. I've all the Terran missions terrain, doodad and unit placement finished. The only thing remaining are the triggers. I'll finish it before the end of the summer, I promise you. I haven't arrived so far on this porject's development to stop it now. Glad you liked the already released maps. Yes, I liked the idea to give the player control over an 'almost invincible' unit. Because, who'd be able to stand a chance before a unit who has 8000 HP, 8000 shields, 10 armor and 500 attack points (with 100 bonus points per upgradre!)? (and keep in mind Sonork's a Dark Templar unit, so he has the power of invisibility too ) I though it'd be fun as well as a really new and good idea for a last map. I promise that the next time I release them they'll be greatly improved. GnaReffotsirk wrote: There's a way to beat the burn-out, Omega, and it takes only a day to do. Laconius wrote: Wait, what about submitting the first two campaigns you released as the final product? You could stick a cliffhanger ending in the Protoss Epilogue map and be done with it. The rules don't state that you HAVE to finish your initially projected map count. Maybe, it could be a good idea. And you're right about rules of course. However, the contestant campaign is intended to connect both SC I and SC II games. It'd take to long to explain what happened in the Terran campaign in a single epilogue map (the fate of Shimrra, the last Cerebrate; what the hell is that creature he calls 'young prodigal' (the Zerg campaign player character ); the fate of Sonork Nezom and the Protoss race, Duran's fate, what happened to Raynor (he was imprisoned by the Dominion in the Zerg campaign, remember?)... etc.) There're too many things to explain, and I'd like you to play the maps and discover them by yourselves, instead reading a really long a very boring text explaining all of them. Of course, I read somewhere that I could just release as the final product the maps I've already released. I know I'm not gonna win right now, and that by doing that I won't achieve the total score (or something). But I could do that to know how good are the aesthetics of my campaign and the dialogue, characters and lore, so I can do it better in the improved version. (I'll ask if I can do that, of course, in the main thread though). Not necessarily. You just'd need to wait a bit more to play the Terran campaign. But, hey! I've already released 2/3 of my campaign, so, don't be so sad. You've something to play with until I release the remaining maps left. Also, I'm very glad all of you liked my campaign so much. That's another reason for me to finish it better than never. I hope to all of you who're participating in this contest good luck. And I hope you're able to fight until the end of it, and finish what I wasn't able to accomplish in time. If I wouldn't be so busy, I'd be still participating on this contest but... Aaaah! Destiny can be very tricky. Again, good luck to all of you. omega20 wrote: However, the contestant campaign is intended to connect both SC I and SC II games. Not necessarily, my friend. The modified rules state that your campaign can take place at ANY time during the 4 year gap between SC:BW and SC II. So if I'm not mistaken, connecting that massive time gap is no longer required. You could just stick a "To be continued" at the end of your Zerg and Protoss epilogues similar to the style of Auspex/Turmalis in TAC and you'd basically have 2 full-fledged campaigns. What's no longer required is for the campaign to cover up that massive time gap. The campaign plot still needs to connect both games. 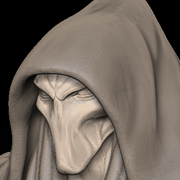 For example, Jim Raynor isn't a Dominion prisoner at the beginning of SC II. omega20 wrote: What's no longer required is for the campaign to cover up that massive time gap. The campaign plot still needs to connect both games. For example, Jim Raynor isn't a Dominion prisoner at the beginning of SC II. Well yeah, I suppose. But you did a pretty decent job in clarifying what the Zerg and Protoss do during the time gap, so I don't see how you failed to portray their connections between both games. Thank you. I think I know your point. I've modified a bit the Protoss epilogue. Let me know what do you think about it. Last edited by omega20 on Wed Jul 22, 2009 10:57 am, edited 1 time in total. Laconius wrote: Hmm, not bad. It wraps up the Zerg and Protoss segments quite nicely and doesn't mention anything unnecessary related to the Terrans. Also, correct me if I'm wrong, but was it Sonork that demolished the temple defenders in your first trailer? Yes, it was. It was Sonork too who escaped from the Temple from mission Zerg 9. His true schemes were going to be revealed in the Terran campaign but... it'll have to wait until I'm able to finish it. Is there going to be a mod for your campaign? Your splash screen looks pretty cool. Dem0nS1ayer wrote: Is there going to be a mod for your campaign? Your splash screen looks pretty cool. Yes, there'll be a mod for my campaign, but it won't be released until I finish the entire campaign (so don't expect to got your hands on it by the end of the contest). It'll include the splash screen, new portraits and hopefully some custom music too. As for now, I'm releasing the already finished maps of the campaign (well, they were released before, but there has been several fixes since then, so you can now download the updated version). Note that this version is only intended for the contest, and that the mod and the last episode haven't been finished yet. Enjoy! Last edited by omega20 on Wed Jul 29, 2009 12:14 am, edited 1 time in total. Download links have been posted in the first post (as stated in the main thread of this contest), this time using an external site (so they can all be posted in the same post). Because of this, the two links above'll be removed (as well as the second post; it's not necessary any longer). Last edited by omega20 on Wed Jul 29, 2009 12:15 am, edited 1 time in total. Dude, great job with your progress. Downloading now, will try later. A) While the script is virtually devoid of real typos (thus showing you made a great deal of effort in professionalizing it), the grammar deteriorates gradually in the campaign until it reaches a point where I have to read the briefings 3 times before playing in order to understand what it is the characters are trying to Say. Look omega, its clear that your first language is not English, but next time find an English friend to proofread your scripts and check for grammar mistakes. B) to-be-continued.... every other campaign is a finished product, except this one. Thats not good..
Out of all the campaigns I've tested so far, this one, to me, had the most engaging plot of them all, which is why it is depressing that the grammar later on makes it impossible to take anything in the campaign seriously anymore. Last edited by chris on Mon Aug 17, 2009 1:19 pm, edited 1 time in total.